New York based artiste Young Lion, formerly known as Lil Lion is ready to take on the world with new music and a brand new video. The 14 year old talent just wrote and released a new song with Fiyah Marshall, which was produced by Mel-Shar Entertainment Media Group. The song is entitled “Da Way You Move”. Young Lion started out as an artiste at the age of 4 so by now he is already seasoned in the game. After 10 years of performing and honing his skills and talents Young Lion has what it takes and is ready to leave his mark in the industry and with listeners around the globe. 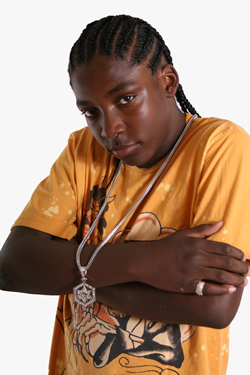 Young Lion was born Jimell Clarke on April 16th 1995 in the Bronx, New York and he has been rapping and deejaying practically all his life. Growing up in the Bronx has nurtured the young talent to a level of street wise maturity rare for his age and it has certainly earned him the respect of his peers. His Jamaican father Daine “Jimmy” Clarke, a music producer whi migrated to New York from Jamaica in the late 80s believes and supports his son’s talents who has been fed on a steady diet of dancehall, reggae and hip hop all his life. Young Lion has performed regularly around New York at venues such as Mingles Night Club, Chrissies and the famous Apollo Theatre. His releases to date include “I’m Grown” , “So Fresh” and “My Swagg” as well as collaborations with Pleasure from the group Pretty Ricky as well as DJ Webstar and more recently with dancehall artiste Barbee (“Age is Just a Number”). Even the king of the dancehall, Beenie Man gives the young talent major credits. “Lil Lion a murda! Dis ya artist a di future. Look out fi him.” Ã¢â‚¬â€œ Beenie Man.